Well maybe the fact I got a new computer will help with the timing of my updates but only time is going to tell on that one. Other than that we just got back from a trip to see my family in Delaware. I didn’t get much knitting done but on our return I finally sat down and learned how to crochet! 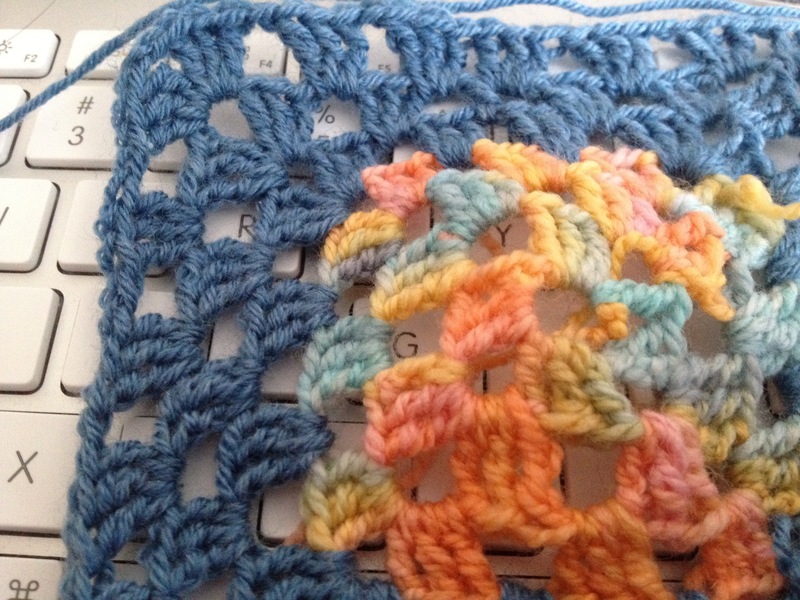 So my first project is this giant granny square blanket out of left over sock yarn. It’s coming up nicely and it moves along very quickly. Delaware was lovely. We got out to DC and to Baltimore to see zoo and aquarium. 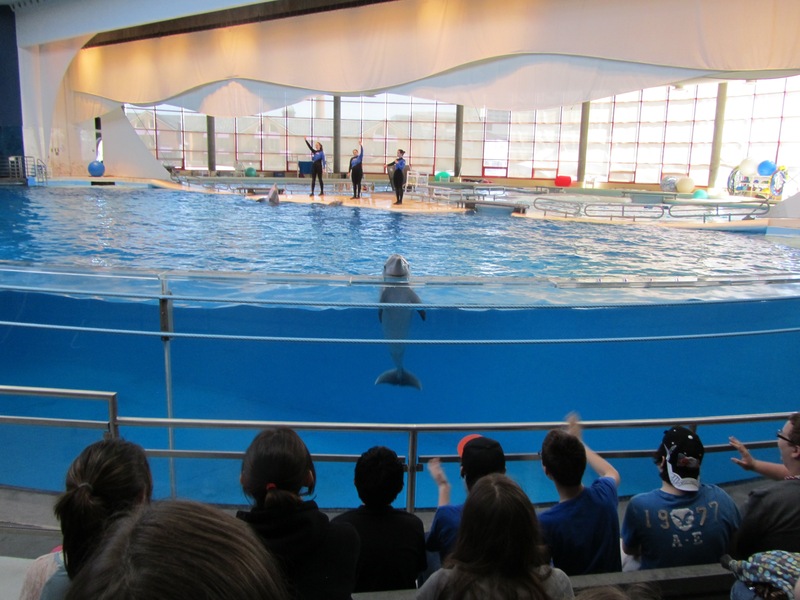 I was very impressed with both and I’ve been to a lot of zoos and aquariums in my time! We had kept planning on going up to Philly but never actually made it up. Especially not after finding out the DC zoo had pandas (Mike’s favorite animal). On the way home from the Baltimore Aquarium, I asked him to google which zoos in the country had pandas. When we saw that DC did, our plans for the next day were pretty much set.We drove out to a point in Maryland and took the metro to a stop near the zoo and walked down to it. It was a beautiful neighborhood. After spending the day walking around we took the metro downtown and checked out DC a bit. I’ve never seen the White House before and the cherry blossoms were blooming so it was the perfect time to be there. 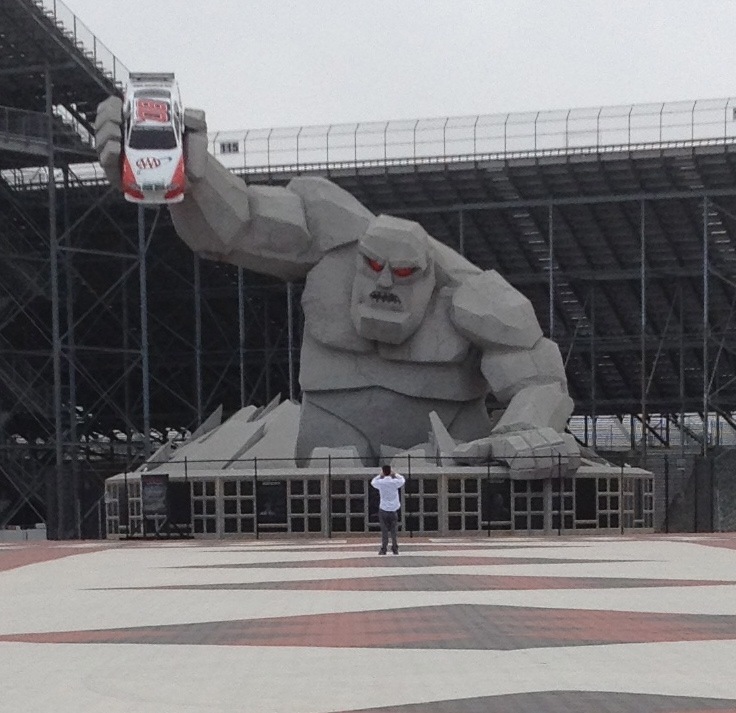 I also took Mike to see Miles the monster at Dover Downs. It’s a big statue of a monster holding a race car in his hand. I have no interest in Nascar and neither does he but it’s still an impressive statue. Other than that we spent some time in Lewes and stopped in to a very nice yarn shop called Ginger Moon. I purchased from black Tili Thomas sock yarn (had no idea she made sock yarn)for a pair of socks for my Dad. He prefers neutral colors which I’ve learned the hard way over the years. I think this will finally be the perfect pair for him. Otherwise it was a nice way to spend spring break. I’m now working along and plotting how to get to France this year. Did I mention I’m getting married this year as well? However we have nothing set in stone, not even a date. More on that to come soon.